Full size handmade, scratch built, replica using several different materials and techniques. 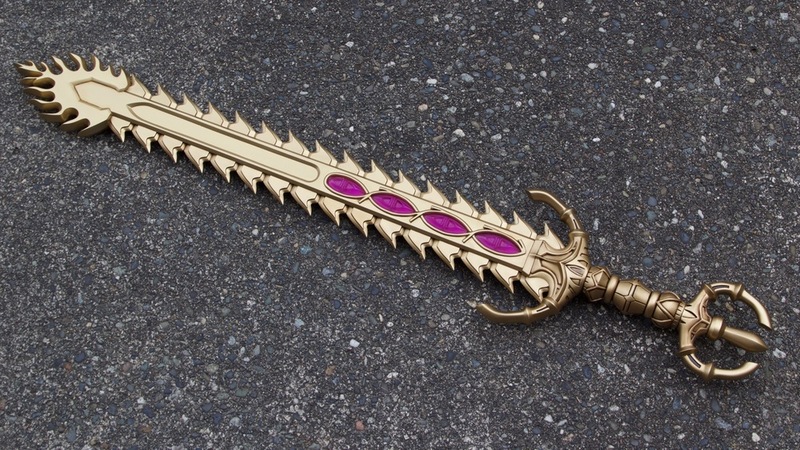 The hilt assembly and saw teeth were sculpted, molded and cast in resin. The blade is made from wood and MDF. 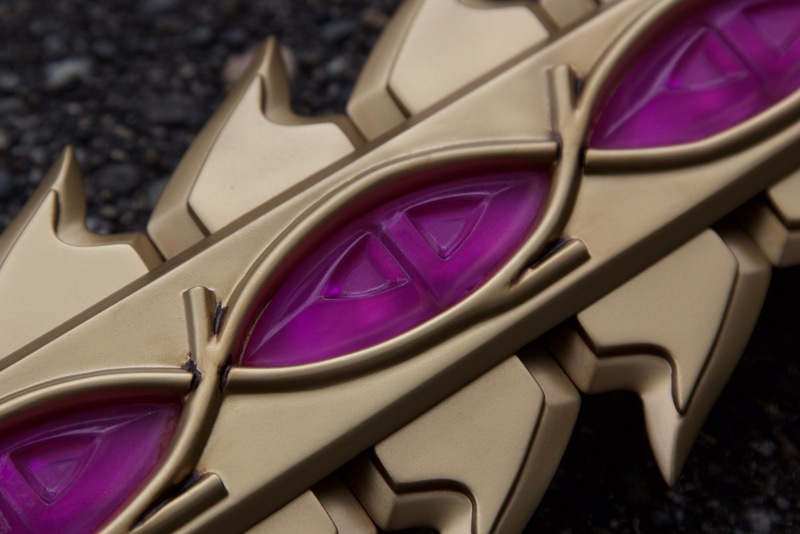 The gems light up and were custom designed/created for the project by Rocketman Props. Overall length is 45 inches and weighs 3 pounds. 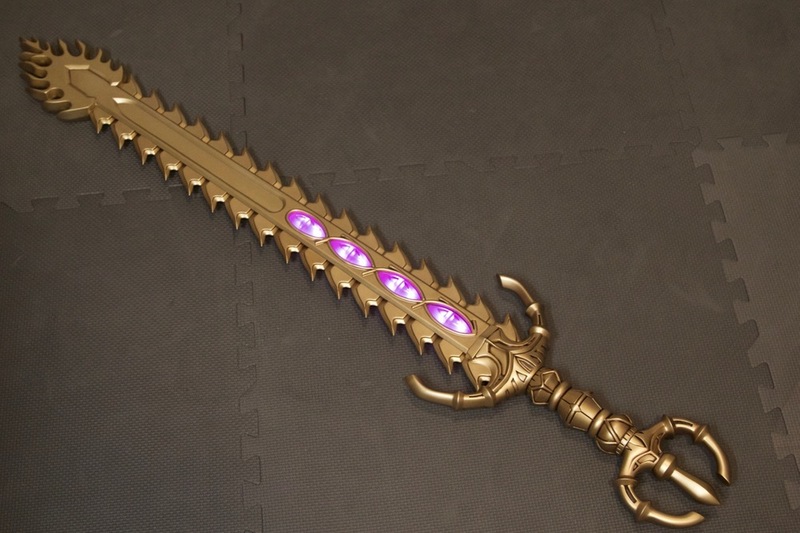 If you like to know how I built this sword please see my detailed writeup Part 1 here.